Achtung: HDMI und USB Adapter können nicht gleichzeitig verwendet werden (Anstand zwischen den beiden Ausgängen ist bei der Canon 5D Mark II nicht ausreichend). 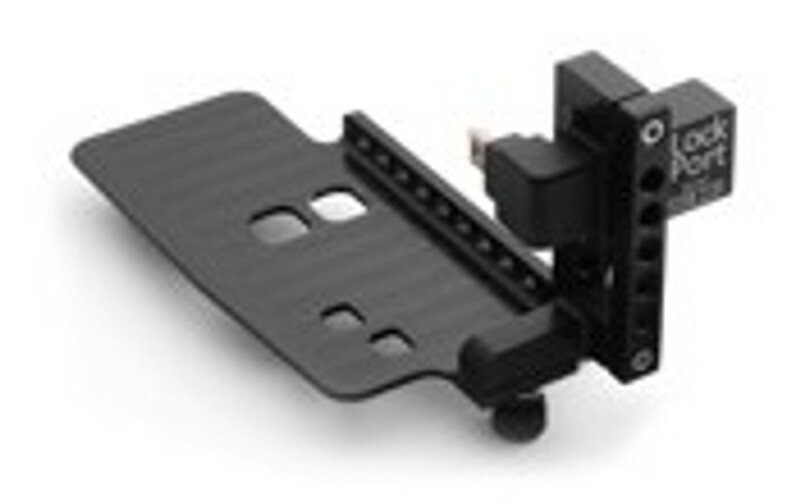 The LockPort is a product developed to help avoid damaging your cameras mini/micro HDMI (or USB) camera port. The LockPort protects definitely the fragile output on your camera from tough production abuse with a rock solid universal clamp and a smart mini/micro to full-size HDMI / USB adapter. The LockPort adapters are available in HDMI editions and new DUAL HDMI/USB editions for selected camera models. Also available as a kit, or sold separately to upgrade the kits or as spare parts!